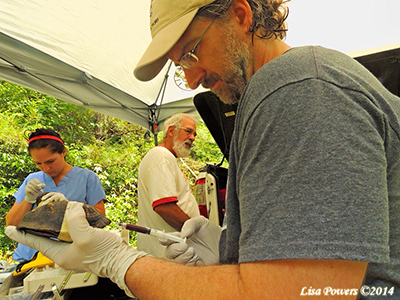 Learn about the PARC National Disease Task Team along with their collection of herpetofaunal disease resources. Also find useful lists of grants and links. 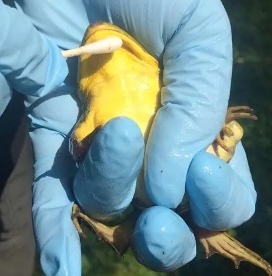 Partners in Amphibian and Reptile Conservation (PARC) have long recognized the importance of disease, with several PARC regions having Disease Task Teams. Responding to disease emergence often requires collaboration among government agencies, non-government organizations, universities, and the public, which can extend beyond PARC regions. Thus, PARC formed the National Disease Task Team. Here you will find a collection of Herpetofaunal Disease Resources compiled by the PARC National Disease Task Team. Amphibians are one of the most threatened groups of animals worldwide. Since 1970, scientists have observed precipitous population declines and outright disappearances of numerous amphibian species. Many of these die-offs have been attributed to a newly-recognized fungal disease known as chytridiomycosis (Batrachochytrium dendrobatidis; “Bd”). 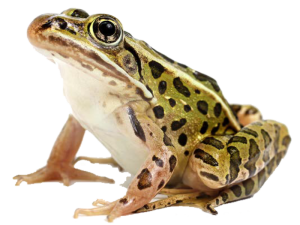 Environmental DNA (eDNA) methods (the isolation and identification of species’ DNA from an environmental sample) are increasingly used as a monitoring tool for aquatic and even terrestrial amphibians and reptiles. 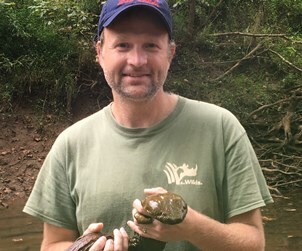 Herpetofaunal conservation needs funding and there are many programs that support reptile and amphibian conservation and research. Check out the grant programs listed on this site for more information. Check out these links for useful resources and connections at the national, international, and regional level.